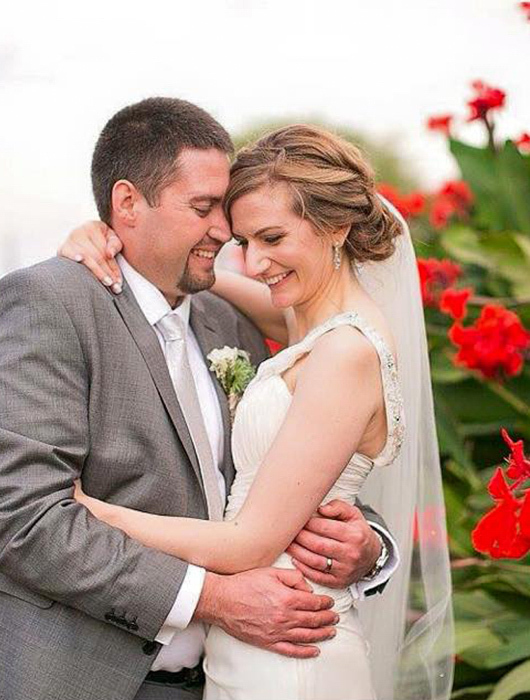 We were fortunate enough to be the wedding videographers for this beautiful couple. 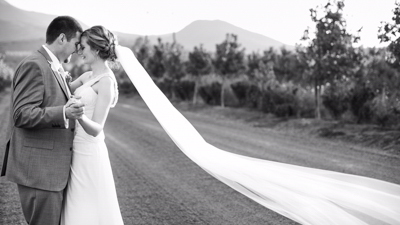 Beth and Marcel had their small, intimate wedding ceremony at Viljoensdrift Fine Wines & River Cruises in Robertson. This was our first time filming a wedding video at this location and we absolutely love the experience. It was a wonderful summer’s day with the sun shining through the branches of the rustling trees. 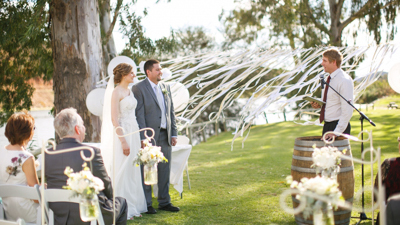 Their ceremony was held under the trees that provided shade for the couple and their guests, next to the Breede River. When we arrived at the guesthouse where Beth and her entourage were getting ready, we were greeted with so much love, bursting laughter and excitement that we instantly felt right at home. Before the cameras was even out the bridal party already started working on their poses. We felt right at home, and when Adene arived to take the photographs our spirits rose even higher. During the ceremony this couple’s intimate vows had the whole crowd in silence, with only a few tears flowing from a few guests. The beautiful words that reflected their story of true love. Beth and Marcel waited a long time to finally share their special day but what a magnificent day this was – it was well worth the wait. Photos courtesy of Adene Photography. During the photoshoot Adene and I followed Beth and Marcel to the boat where we took some shots on the river. What an amazing experience. 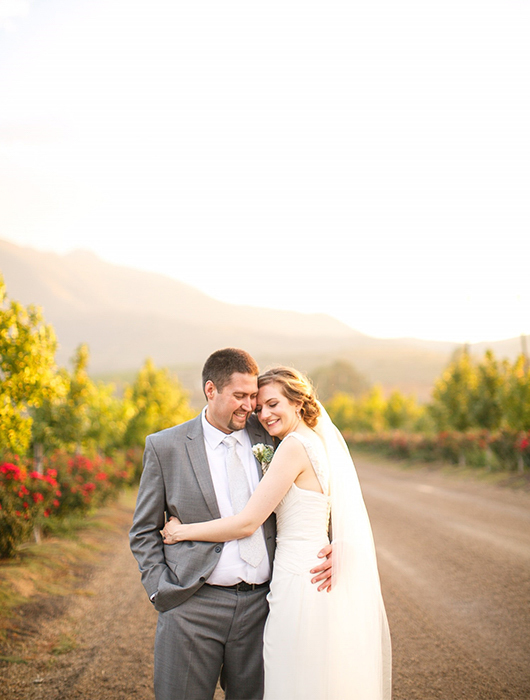 This couple was so natural in front of the camera and they made our jobs a lot easier. Beth and Marcel, as well as their entourage, were willing to do anything for that special shot and soon enough we were pulling a white couch from the pre-drinks area to capture some spectacular moments. This particular stunt ensured a lot of laughter and some amazing shots during the photoshoot. A few days later, Marcel called us and asked whether it would be possible for us to do a 2 week edit on their video as they needed to return back to London (Where Beth was from) the next week. This was so easy to achieve as they were so photogenic and the amount of stunning footage we had to choose from were endless. 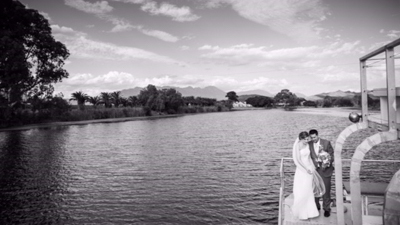 We enjoyed working with this couple so much and we wish them all the love and happiness for their journey ahead.